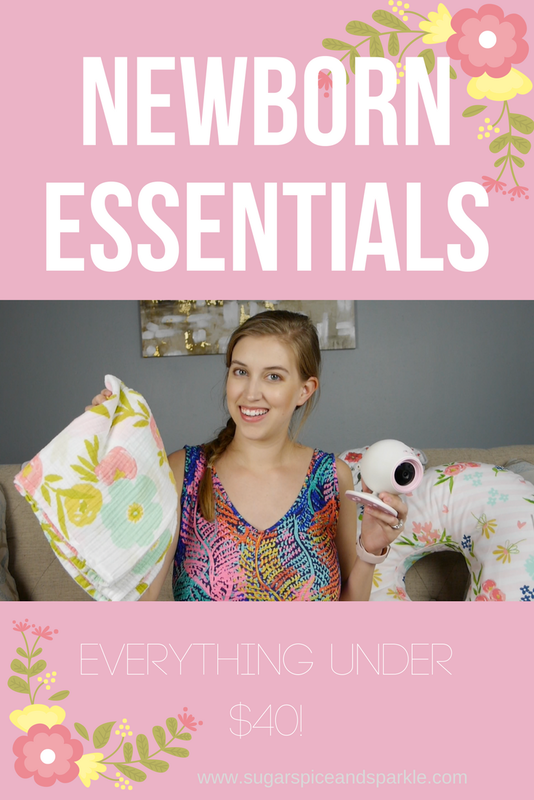 When I was pregnant I was always scouring the internet for blogs and YouTube videos about newborn must-haves. I found them so helpful because there is an endless number of products for those tiny humans and so many different brands and styles to choose from, it's nice to hear from actual people on what worked and what wasn't necessary. Of course you still have to use your judgment on what you and your baby will need, and once they're here they'll let you know what is best - ha! But these sort of guides act as a starting point and were always a great resource to me, so I'm paying it forward by creating one from my own experience! Watch it on my YouTube channel or check out all the products below (affiliate links)! Mama Roo - Trendy, yes, necessary, no. Cute Outfits - She pretty much rotates through footed pjs and onesies. Between all the spit ups and blow outs its too nerve wracking to put her in anything too fancy! Baby Shoes - Pretty obvious that these aren't necessary but my baby girl's feet are too skinny to fit in any anyways. And really unless there is a special occasion you're not going to put them on baby. Sleep Gowns - For us a zippered pj or regular old onesie was easier to deal with then the sleep gowns. I know they're supposed to make night time diaper changes easier but for me they were just more fabric to get up over her diaper to change it. Crib - I have no clue when she will make it into her crib! Pack n' play bassinet is where she seems content for now. But I don't think I could have NOT bought a crib - it's too fun to decorate the nursery to pass up!